We’ve gone on mission trips together, stateside and abroad, serving side by side in a variety of ways. In fact, I’m writing this from one of our major missions campuses where I’ve been invited to serve another group gathered for the weekend. I love my Church family. because that’s not what I’m doing. Generally speaking, I used to invite people to church all the time. I sorta thought that’s what I was supposed to do. So there’d be an event or a special program for the kids and with almost a Members air of superiority, I’d be telling you all about why you should come, bring the kids and take advantage of all we had to offer. I’d tell you about the music. The message… the meal on Wednesday nights. I’d tell you about the fellowship and the community and show you ways you could plug in and get involved. These are not wholly bad things….but they are also not the whole story or even the first things. I guess found it easier and maybe less confrontational to be enthusiastic and excited about everything…. but Jesus. Somehow He got lost in the mix. Did I care about your salvation and walk with Christ? Well, sure. But I trusted that would take care of itself eventually and began, without realizing it, to trust in programs and events to do the job. Just come with me to this event– we have great music, a fabulous speaker, childcare and yummy food. As if Jesus might be on the menu and I hoped you’d order. As if the Gospel was an appetizer, but the meal and program was the main attraction. I guess it’s taken my own personal season of wilderness as a Temple Prostitute to realize that’s not enough. It’s not only NOT enough but it’s not at all what I’ve been called and commissioned to do. Over and over again, I’ve been reading in my bible how Jesus never, ever, ever invited anyone to the temple. Over and over I’m reading how Jesus made his invitation clear to “come and see“…inviting others to come and see the Father through Himself. Even in the early days of gathering disciples, as Jesus stepped into the picture, each one would find another and invite them….not to church, but to come and see the Christ. Come and see the One! Come to relationship, not religion. Come to salvation and THE new and abundant Way of life, not a membership or event. In the Bible, the meals, the teachings, the gatherings…were all “extra-curricular” in nature but the main thrust– before, during and after— was always the Gospel. It was always about Jesus. And when He left and ascended into heaven Jesus’ final words weren’t just directed to His amazed and slack-jawed disciples gathered and watching on the side of the mountain; they were to you and me as well. “Go and make disciples” In other words….don’t just invite people to church… go and BE the Church. “Come and see, now go and tell”. Oh, but we may think…”evangelism is not my spiritual gift.” That’s 100% correct. Because it’s really a command; a mandate. We are to tell and teach the story… the story of what His story has done to make a difference in our story. That’s what I want my life to be. That’s it from now on. I want to take the time to reach out to my neighbors and community intentionally with the love of Christ and His saving Gospel message. Without judgement and without reservations. If I invite anyone anywhere, I want it to be into His presence with my life, in my home or in the pew next to me. If I would dare to invite a friend or a neighbor to an event may it only be after I’ve invited them into my life as a witness to the Gospel. God help me if I do anything less. So, it’s true. 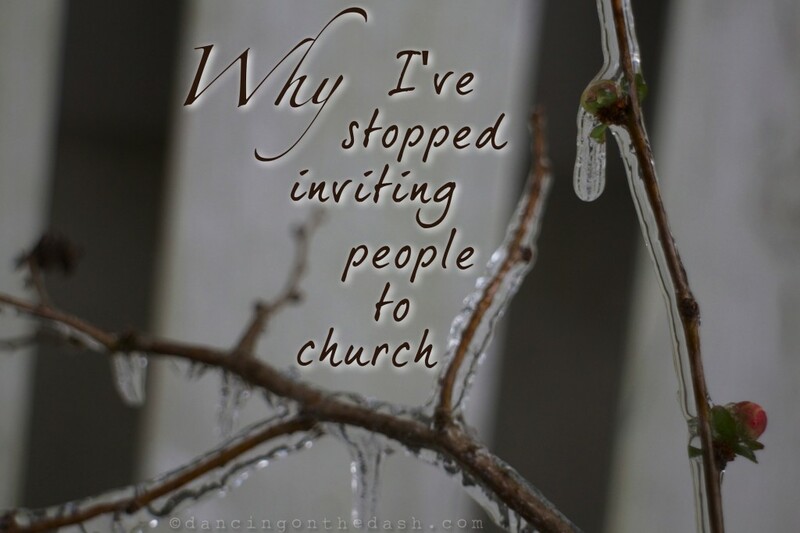 I’ve stopped inviting people to church; instead I’m living to invite people to Jesus. Because the church, it’s membership and events alone, won’t save a single soul. 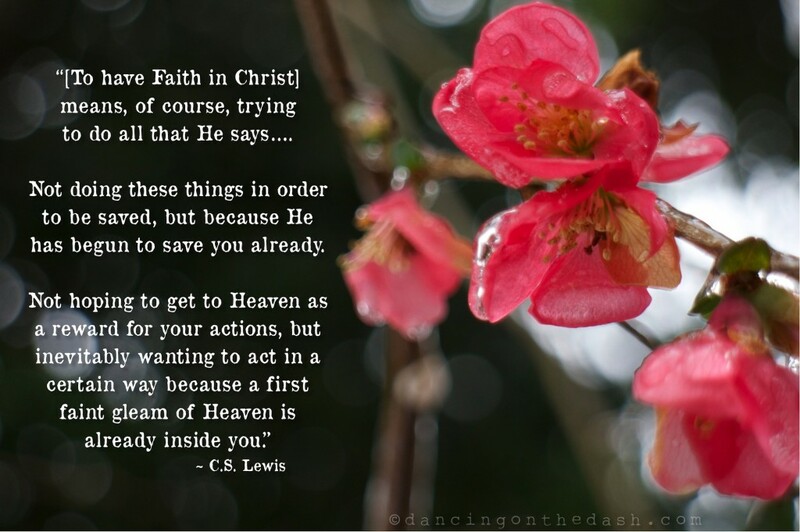 Only Jesus can do that and He invites us to join Him in the work. Come and see…..now go and tell. Ah yes.. no doubt about it! I still invite people to come to church with me… striving to always be living in such a way that the invitation is simply an extension of what’s already being established or hopefully exhibited between us. No doubt about it, the church (body) is ultimately where a great deal of life, learning and community are to be found. What I’m referring to is how often it’s viewed that’s where our responsibility ends. At least, that’s the attitude I’m repenting of…and have tried to change in my own life. 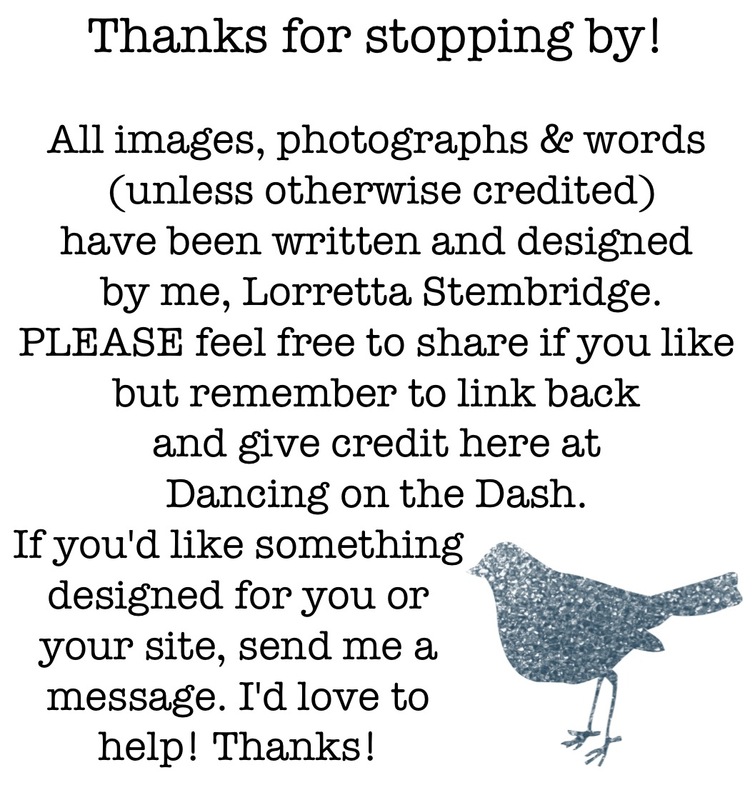 Thanks for stopping by–blessings! Hey there buddy, wow you nailed it. I don’t mind inviting someone to church unless I’m just doing it to make myself feel spiritual and hoping God will be happy with me. unfortunately after World War II and mainly in the 50s inviting people to church became a big deal. This is because we had the money to build big church buildings and we needed a lot of people in there pay the mortgage. In other words…DEBT! We need to get back to telling people that the debt of their sin has been paid and there is no mortgage on the Gospel. It is free too. In the words of Vance Havner, ” there are two things that the church cannot handle popularity, and prosperity”. America is the poster child for this. Thank you for the courage to get earthy with us. Oh. My. Goodness. I love this post, you are speaking my language! I read this yesterday, then read it again to my husband last night. This is exactly what we’ve been doing the past year. Actually getting to know and love the people around us, mostly our neighbors, with no agenda to get them to a service. Other Christians have questioned why we do this, but we’re just realizing without knowing and loving people for who they are, we really have no right to speak into their lives, not in a way that would be sincere anyway. Thank you for sharing! coming by from imperfect prose. as a Christian who struggles with the church and the title, this was an interesting perspective for me to read. thank you for your gentle words and thought-provoking insights. Thank you Rachel. It’s taken me a long time to get to this place of understanding and you may know as well as I do that the hardest place to “de-church” is the church. Bless you and thanks for joining me in the journey. I know what you mean here. I stopped inviting people to church when I realized it was just another way for me to “check mark” myself through being a Christian. If I invited I had done my duty and was off the hook so to speak. But I finally realized that going to a worship service is just a tiny part of being Christian and sharing God. So now I’m trying to do better at building relationships with people — which is really hard for me since I’m an introvert. Blessings to you for a good post. Yes! It’s an investment and I think sometimes what trips us up is the little voice in the back of our heads whispering that we ought to be fishing with big wide nets versus our little cane pole and hook. Sometimes this is true… but never, ever at the expense or substitution of personal encounters. Thanks for stopping by and for the great encouragement. Bless you! 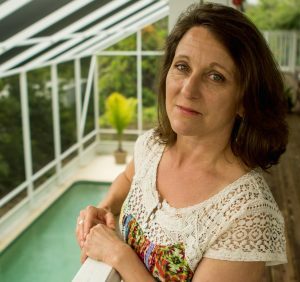 I cam across a post on another blog yesterday with almost the same title a similar reason for why the guy was not going to invite people to church. The post said something like it’s not getting people into the programs that matter but disciplining new Christians. YES! You know I’m often amazed at how God’s Spirit moves through the interwebs and through us, His servants, prompting similar messages to come from our wee altars and platforms to the folks in our sphere. Thanks for the heads up. I believe I’ve read from this guy before –I follow his Mom as well! Small world, big God. Thanks! Loved this post! I visited from Imperfect Prose this morning 🙂 Blessings! It’s been a profound journey inside and out. Thanks for stopping by! I just finished dissecting the first chapter of John — where the disciples met Jesus and went out and brought people to Him. Philip didn’t argue with Nathanael about what good could come out of Nazareth. He just told him to come see…and Jesus did the rest. YES. Love this. Thank you. Wow!! You had a glimpse of how deep the battle to restore my tears was, a window to witness the final victory. It should be no surprise that even now to cry my heart must be pierced – This one made me cry! No other words need to be said except – yes exactly and Jesus make this a contagious realization. Come and see, go and tell. Yes. I love your soul and how you express it, Lorretta! I think your soul is pretty spiffy too Deb! Thanks friend. Be blessed.